Yang Hae-nam, 53, is a multitalented artist based in the midwestern land-locked county of Geumsan, South Chungcheong Province. He writes poems, takes documentary photos and has put them together for photographically illustrated poetry in a book form ― a rare genre dubbed "photopoetry" or "photopoem." Poet-photographer is not the sole title that defines Yang. He is also a film fanatic and has collected over 3,000 movie posters for decades. He is also a pop music critic. 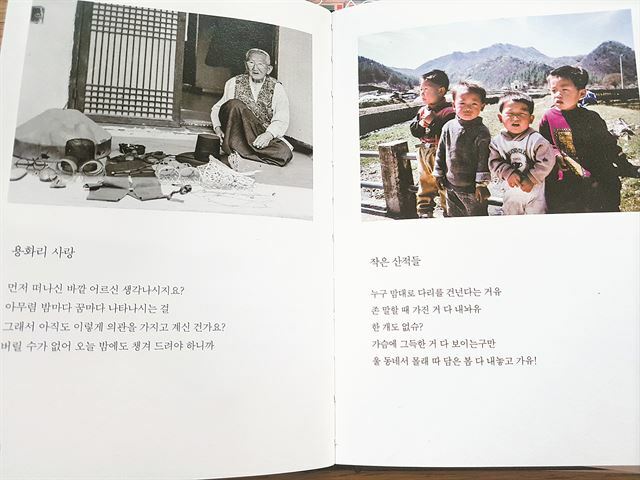 Yang embarked on the rare journey of narrating his photos in 1984 when he joined a local coterie poetry group called "Jwa-do-si," a term referring to a region situated in the western side of the Jeolla provinces. Although Yang's hometown Geumsan is not technically part of the Jeolla region, he said the county, along with other rustic towns nearby, shares the Noryeong Mountain Ridge which stretches from North Chungcheong Province to all the way down to South Jeolla Province, and people living along the mountain ridge share cultural and psychological bonds. Yang has created connections with fellow poets, and they team up to publish a collection of their poems every year. Yang joined the poetry club two years after he started taking photos in 1982. Inspired by Mother Nature surrounding his hometown, Yang has captured farmers and their rural lifestyle for his photos and poems. For him photos and poems are meant to be together. 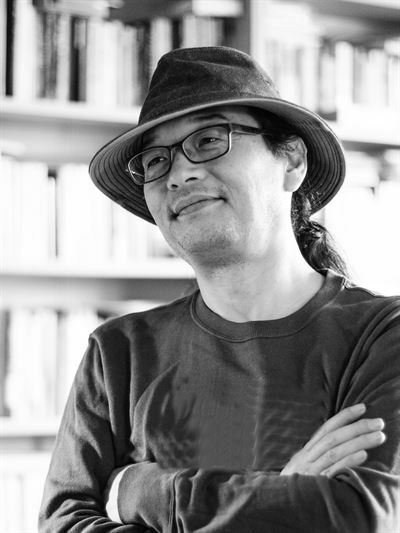 "Text and images are inseparable," he said in a recent interview with The Korea Times. While working on his photo projects, he said he felt something was missing. After he became a poet, he tried pairing his short writings with his photos. He felt they completed his works. "In the 1980s, there were people who paired their photos with poems in a book form. At that time, people called this a photopoem," he said. "To me, their works were seen as idealistic and unrealistic, maybe because of the objects they captured in the images. I prefer documentary photos, so I chose to do my own way of photopoetry. I liked to capture agricultural landscapes, the rustic lifestyle and farmers who depend on farming to make ends meet." 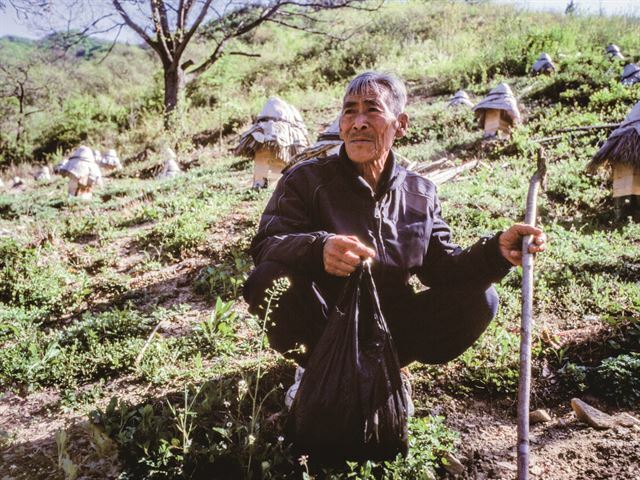 A beekeeper looks on in a gently sloped mountainous region in South Chungcheong Province in this photo taken over 30 years ago. His three decades of photopoetry are summarized in his new book, tentatively titled "Time That Approached Me." It showcases 110 selected photos taken over the decades in his town and the greater Geumsan area. The publication has drawn mixed reactions from his friends and fellow poets. Some of them liked it, but some presented a different view. "My acquaintances commented that photography and poetry are two very different fields and they were wondering why I put them together. Some advised me to focus on one ― either photos or poems ― rather than trying to do both at the same time," he said. Their criticism, however, has not discouraged him from continuing his project "I'm used to doing them both at a time, so I asked them to accept my project as a genre of art." Photopoetry is a rare field in Korea and photography and poetry are considered by many as two separate fields. In the West, photopoetry has been part of art history for over a century, according to Michael Nott, the author of "Photopoetry 1845-2015, A Critical History." Nott said the first use of the term photopoem is found in the 1936 book, "Photopoems: A Group of Interpretations Through Photographs," photographed and compiled by Constance Phillips. 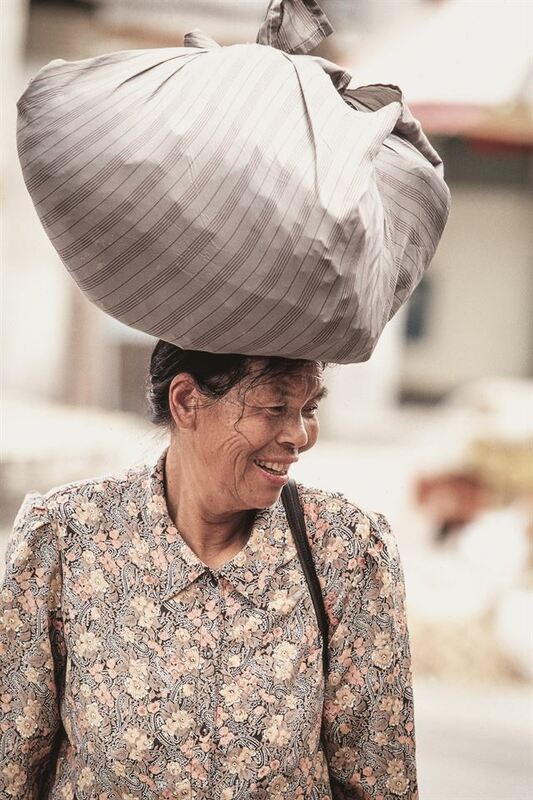 An elderly woman carrying a heavy bag on her head is captured in Yang's photo. A poem, titled "The Principle of Conservation of Mass," was paired with this photo. Yang made both factual and fictional interpretations of his photos in his latest book project. Some of his poems are fictional in that he wrote the lines for certain photos based on his imagination, not based on information he had acquired from his amateur models. Prior to taking photos, Yang said he speaks to his potential models for a couple of hours to encourage them to open their heart. If he feels as though he didn't get "real photos," he visits the same farmers over and over again to make them feel at home while being photographed. His photo compiled with a poem titled "The Principle of Conservation of Mass" is an exemplary piece of fictional photopoetry. An elderly lady carrying a heavy load on her head is captured in the photo. Wearing a shabby blouse, she has a tanned face and a weary smile. "The Principle of Conservation of Mass" reads: "Once, at least once in my life, I wish I could lay all my burdens down. I know I won't feel unburdened even if I do that. Because there will be more to press me even harder." Yang described the bulky items on her head as a heavy burden the old woman has endured all her life, and observed that even if she lays it down from her head, she will not feel better because there will be another maybe tougher one next. So laying her burdens of the moment won't make a difference in terms of weight of burden she carries. "That poem was fictional," Yang said. "I took several photos of her, and in some of them she looks carefree with a big smile on her face. But I chose the one featuring her a little bit depressed because I thought it showed the weight of the burden she might have endured all her life." His other photopoem "Coltsfoot" features the tanned rough and callused hands of another old woman living in the farmland as she cuts herbs off stems for a dish in the front yard of her house. Yang said it was taken some 20 years ago when he explored a countryside town and met the old lady, whom he called mother although she is not his real mom. She was preparing meals with the herb while chatting with Yang. "While having a chat with her, I saw her hands and it was heart-wrenching because her hands reminded me of the rough, hard life she had lived in the farmland. Her hands inspired me to write a poem about her," he said. "Coltsfoot" takes the form of a conversation poem. The narrator says he won't eat the herb any longer from then on and his mother asks him why because she knows he likes it very much. The narrator doesn't answer his mother directly but hints at his feelings in a bracketed sentence. His mother's rough hands remind him of the hard life she had lived and that saddens him and makes him feel guilty.